We have reviewed many different brands of hair removal cream and come up with our top 5 best products for you. Hair removal creams come in both body and face versions, so we have found the four best body creams and the best facial hair removal cream on the market. Without a doubt the most popular hair removal cream on the market today! Veet’s Fast Acting Gel Cream Hair Remover can be used to remove hair anywhere on the body (arms, legs, underarms, bikini line); it comes in an easy to apply gel cream and works within 3-6 minutes. In addition, the smell is not too bad at all, which makes it less of a chore to use. With its fast-acting formula hairs are removed in the same amount of time that it would take to shave them off, regrowth starts between 3 and 5 days after removal, and the aloe vera and vitamin E in the cream leave your skin feeling soft. While the Fast Acting Gel Cream Hair Remover is Veet’s top-selling hair removal cream, the rest of the line of creams is also very popular. With their easy to apply products and fast-acting formula, as well as being very affordable and available in every drugstore and supermarket, there is a reason why Veet is one of the best out there! The best hair removal cream on the market for sensitive skin, whether you have fine, medium or coarse hair. Avon Skin So Soft Fresh & Smooth Moisturizing Hair Removal Cream comes in regular and sensitive skin formats, but both are great for sensitive skin. While the smell is a little stronger than Veet’s line, which may be a little off-putting to some, when used correctly Avon’s hair removal cream removes hair while protecting sensitive skin from irritations. Enriched with shea butter it leaves the skin soft and hair free. While Avon’s Skin So Soft Fresh & Smooth Moisturizing Hair Removal Cream is excellent for use on sensitive skin, we do not recommend using it on the sensitive facial skin – there are other options that have been created specifically for this area. Unlike Veet and Nair, Avon can only be purchased online. The second most popular hair removal name on the market, Nair used to be the household name for hair removal cream. Back then hair removal creams were messy, took ages to work and sometimes smelled so bad it just was not considered a great alternative to shaving. Nowadays Nair have really upped their game and have a huge line of hair removal products that rivals Veet’s, coming in at a very close second in regards to hair removal cream popularity. Nair’s Cocoa Butter Hair Removal Lotion is easy to apply, works within 3 minutes (up to 8 for coarser hair), and washes off easily. Hair does not grow back for up to a week after application, and the cocoa butter formula leaves the skin feeling soft. Nair have worked on masking the chemical smell and it is a lot better than it used to be! Gigi’s line of spa-like hot wax products is one of the best on the market, and their hair removal lotion is pretty high quality too! It’s great for both regular and sensitive skin and works well on coarse hair. It works within 8 minutes after application and has a lovely cooling cucumber element to it that leaves the skin feeling revived. With regrowth not happening for up to 5 days after application, Gigi’s hair removal lotion is a great alternative to shaving, and the lotion leaves your skin hydrated rather than irritated. While there are a few hair removal creams that are more popular right now, this one is definitely up there in the top 5! Like the Avon cream, Gigi’s can only be purchased online. It is not recommended to use regular or sensitive body hair removal creams on the face due to the sensitivity of facial skin. This is why most hair removal brands have also created hair removal creams specifically for the face. The best and most popular facial hair removal on the market is Olay’s Facial Hair Removal Duo. Known for skincare creams, Olay have created a product that removes hair, but that also protects and nourishes the sensitive skin on the face. Olay Facial Hair Removal Duo works in two steps: by applying a skin protecting balm and then by applying a thick layer of hair removal cream to the area treated. After 6-8 minutes the cream is removed, and the hair with it. While it is not the cheapest facial hair removal cream on the market, Olay Facial Hair Removal Duo is definitely the best hair removal cream for the face in terms of efficiency, smell and how well it protects the skin. 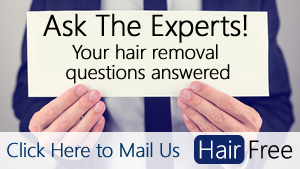 Hair removal creams can be an excellent alternative to shaving and waxing. No razor burn or ingrown hair worries, depilatory creams dissolve the hair at the surface of the skin within 10 minutes and usually leave you with a regrowth that happens within 3-5 days. In the past hair removal creams were often bypassed due to how messy they were to apply and also due to their strong chemical smell, but nowadays formulas are a lot more advanced, creams are a lot easier to apply and smells are masked a lot better than they used to be. While shaving is fast and simple, regrowth happens quite fast and can leave you with stubble and possible razor burn and ingrown hairs. Waxing takes care of the rapid regrowth but it can be painful and can also cause ingrown hairs. We researched and reviewed many hair removal creams to come up with the 4 best hair removal creams for the body, and the best cream for the face. While Veet and Nair go neck and neck for the best body hair removal cream, Avon comes up with the best cream for sensitive skin, and Gigi doesn’t fall short in terms of efficiency; and Olay provides the best hair removal cream for the face. As a great alternative to shaving, these hair removal creams really hit the mark. you should really review the hair removal cream collection by Minerals of Eden. Today I intend to begin a regular facial hair removal regime. Since the menopause my facial hair has become a real problem. I will start with Olay duo.